How does fourteen miles of pure white sand beaches, turquoise seas and tropical weather sound as the ideal destination for those of you who want to escape from the hum-drum of everyday life? If that’s you, then Cancun, on the Yucatan peninsular of eastern Mexico, is your ideal holiday resort. Cancun can fulfil the holiday dream of everyone who has ever longed for sun, sea and sand. In the state of Quintana Roo, this modern holiday destination offers every aspect of a get-away-from-it-all vacation in surroundings of sun-drenched, powdery sanded beaches, state-of-the-art hotels and more amenities than you could possibly try on in one visit. Although the city centre is built on the mainland, the modern, beachfront hotels are located on a long, thin island shaped like a seven which is connected to the mainland by two bridges. Here you can find something to suit all tastes and expectations. The exotic names Mexican Caribbean and Mayan Riviera can only partly conjure up what you can expect from this all-encompassing paradise. The unique situation of the Gulf of Mexico to the north and the Caribbean Sea to the south have proved to be the ideal conditions for the dream-of-a-lifetime holiday. The crystal clear waters around Cancun offer you the chance to indulge in those activities you’ve always longed to try. Never ridden a jet-ski, rowed a kayak, surfed the waves, been scuba-diving or fitted a snorkel and swum with beautiful and varied tropical fish? Here’s your chance. In the vast lagoon overlooked by Laguna Nichupte, on the western side of the island, a wide-variety of water-sport equipment is available for hire. Trainers are always on hand to help first-timers. If your interest lays not so much in swimming with the fish, but being the proud fisherman who lands a prize and takes the photo home to show their friends then rowboats for the individual and charter boats for the larger groups are readily available. If you’ve ever dreamed of swimming with dolphins or thrilled at the idea of patting a live shark, Cancun offers the chance. 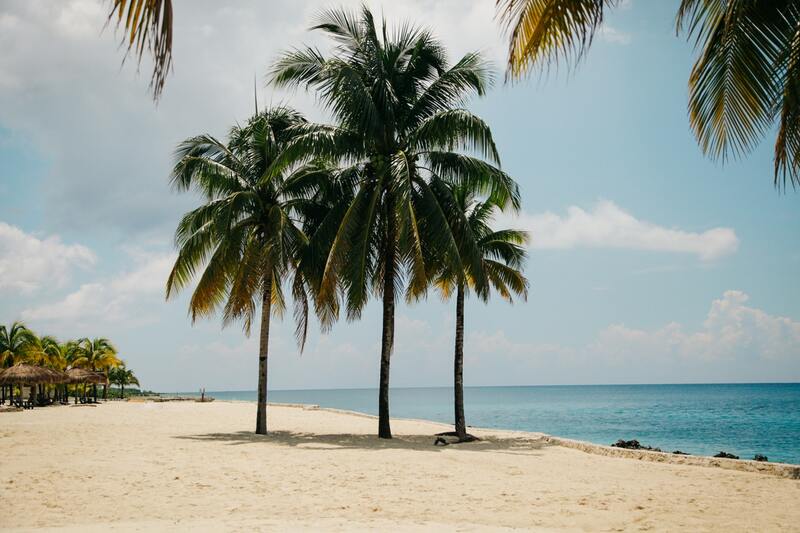 Take a jet boat tour into the jungle or visit the beautiful island of Cozumel, Mexico’s largest island and famous water sport activity centre. This attractive and heavily-inhabited island is the location of the Chankanaab National Park. In Laguna Nichupte itself, you can explore shopping malls and marinas, dine at waterfront restaurants, practice your golfing skills and, as the tropical evening draws nigh, enjoy views of the most incredible sunsets. Then take yourself off to downtown Cancun – Cancun Centro – for the nightlife experience of a lifetime and a taste of real Mexico. Bars, nightclubs, and restaurants offer a wide variety of opportunities. Do you fancy a romantic meal for two in a quiet secluded corner, a sport for a quite drink or the all-out light flashing sensation of a glitzy club where you can dance the night away. All these, and more, are on offer in the Party Zone at a price which will more than please your holiday budget. If you should desire a change from the sea-and-sand based activities and want to explore some of Mexico’s history, Chichen Itza is only a bus-ride away or a two and a half hour journey by car. This famous Mayan archaeological site includes the stunning Kukulcan Pyramid and a nearby cenote (a deep, natural well) where you can have a refreshing swim. Alternatively, Tulum, the only Mayan site to overlook the Caribbean is a two hour bus ride. Believed to be an important ceremonial site forthe Mayan people, you can see the impressive El Castillo pyramid as well as over sixty other structures which date back over seven centuries. However, the tallest pyramid on the Yucatan Peninsular can be found at Coba hidden deep in the jungle. Cancun has already become a popular resort for honeymoon couples, such is the romantic atmosphere which surrounds the location, but many couples are now looking for a complete celebration and arranging their weddings here too. What could be more idyllic than a ceremony in the sun overlooking azure-blue waters with your loved-one by your side? So, whatever your preferences or desires, your dreams or your plans, Mexico’s newest, brightest and best holiday resort will offer everything you’ve ever wanted. Ask and Cancun, can deliver. Abu Dhabi Bus Rental is all about the variety of the renting services offered by us in Abu Dhabi for a fascinating tour through the ultra-modern city of Abu Dhabi. There are many bus rental services in Abu Dhabi offered by us. If you want to tour the entire city and if your group consist of a large number of people, then hiring a bus in Abu Dhabi will be the perfect choice. We are equipped with our own bus services that are maintained at their best. You will be surprised to get the perfect backup services from us. If you are looking for a Abu Dhabi Bus Rental, then you have the choice of getting an ultimate luxury bus that comes with a lot of modern entertainment services. There are buses with different seating capacities. It means that you are lucky enough to get a bus in Abu Dhabi with the number of seats in accordance with the number of people in your group. Our buses also contain the tools that are required for a long journey. The interior of the buses are built with effective materials that they will give comfort to the passenger. The exterior of the buses are made in such a way that the passengers can have a beautiful view of the towering city. They are also checked often and maintained to ensure the safety of the passengers. You can enjoy the luxurious buses in Abu Dhabi. You can also visit some of the most popular sites in Abu Dhabi by travelling through these buses. The buses will have public addressing system which will help you to get a clear picture of the sites you are going to visit. Thus the buses can also do the duty of a guide. You can arrange with us to go on a tour with your group in the rented bus. For a small group of people, you can hire a 14 seater bus. It will come with entertainment services like FM stereos, LCD TVs and DVD Players. So listen to your favorite music and enjoy a ride through the city of Abu Dhabi. The vehicles come with ample leg space. A ride through the city in the rented buses will be comfortable. If you are a large group, then you can choose a 47 seater luxury bus. It comes with extra entertainment and comfort giving services like climate control, refrigerator and water dispensers. 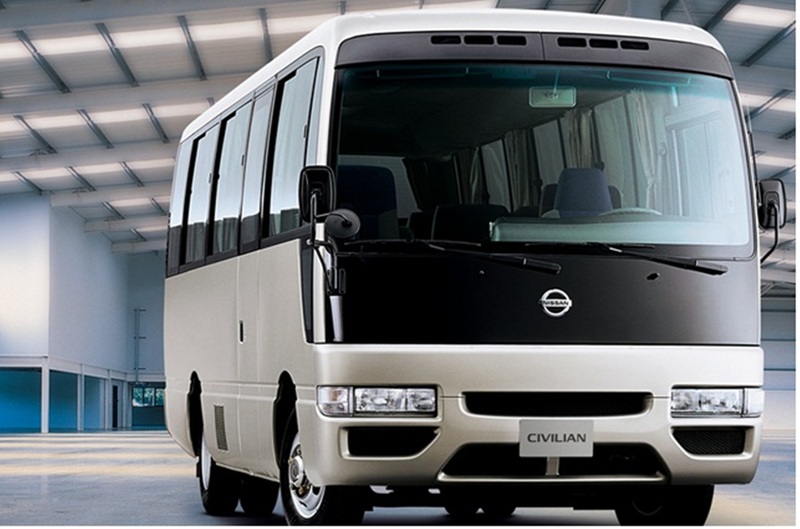 You should choose the type of bus in accordance with your needs. Costa Rica, one of the most popular tourist destinations of the world is located in Central America. It offers lush green forest, beautiful beaches, volcanoes, and wide varieties of flora and fauna.This place is filled with endless attractions and natural beauty. All at one place, the rain forest, the beaches, lagoons, mangroves and the coral reefs, you will find all of these at Manuel Antonio National Park. It is one of the most visited park in Costa Rica. The beaches looks amazing surrounded by beautiful lush green rain forest. It is a great spot for snorkeling as well. It is a small national park established in only 628 hectare area but it is home to 109 species of mammals and 184 species of birds. The park attracts around 150,000 visitors per year. One of the great way to enjoy the park and it’s amazing vistas is to take a hike. There are guided tours available. You can book the guided tours from any of hotels you will be staying. The Punta Cathedral on the trail offers one of the most beautiful view. You will also get a chance to see white-faced monkeys and rare squirrel monkeys. Arenal Volcano National Park is a must see places of Costa Rica. It is one of the world’s most active volcanoes. There are hiking trails here on the already hardened fields of lava where you can see the mighty force of nature from so close. There are guided tours available for such hiking trails and hot springs. While other ways people can enjoy the park is by taking the most famous Sky Tram Canopy Tour. Rincon de La Vieja National Park is the protected National park in Costa Rica with a very diverse ecosystem. It is popularly known for its wide variety of flora and fauna. It is also home to 2 volcanoes namely the Rincon de la Vieja and the Santa Maria. There are 6 different volcanic peaks in the park and 32 rivers and streams. It is a great place for the adventure lovers. There are waterfalls where you can swim around, warm mud pools, spectacular place for nature photography, a fresh water volcanic lagoons, and trails where you can hike all day long and enjoy the park. The Monteverde Cloud Forest Reserve is a very popular destination in Costa Rica. The unique thing about this place is its cloud canopy after which it has got its name. The Reserve is located just 6 km from town of Santa Elena in the Puntarenas province. It is one of the most breathtaking reserves of the world. The Monteverde Cloud Forest Reserve receives very less rain compared to that of the rain forest, however because of the unique cloud contents, it has very high humidity. There are several trails available throughout the reserve, you can spend days of hiking with a guide in group or as single. The trails offers amazing views of the spectacular Forest Reserve. Throughout the trail you can enjoy beautiful waterfalls, swamp areas, and other attractions. Well, the most adventurous thing about the Tortuguero National Park is that it can be reached only through water on boat or by air. The park has a nesting grounds for Hawksbill, leatherback and green sea turtles, etc. The turtles are the main attraction of the Tortuguero National Park. There are several marked trails where you can go for a hike but you have to watch for the nesting grounds on the way. One of the best way to explore the park is by boat. Don’t worry, there are many places from where you can rent kayaks and canoes. Going for a beach vacation? Have you pack everything you need for your stay? It is highly likely that you may forget few things you may need at the beach. 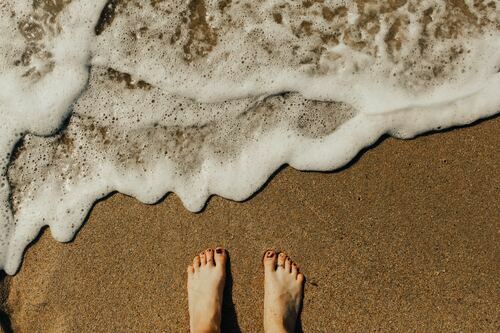 Here is the checklist for all essential things you should have for your beach vacation and some packing tips. 1. Extra Swimsuit: Pack extra swimsuit at least two. Swimsuit is the basic requirement when you are in the beach. It is always wise to have extra one. In case something happen to one swim suit then you are good because you have a backup with you. 2. Swimsuit cover ups: Do not forget to carry cover-ups for your swimsuit. There are varieties of cover-ups in the market. A t-shirt goes well with boys and t-shirts- shorts and wrap basically goes well with ladies. 3. Sunscreen: Sunscreen is must for a beach visit. Carry sunscreen with SPF of at least 30. Also make sure its waterproof as you are going to play with water. 4. Sunglasses: Sunglasses is yet another essential item you should not forget. It is very likely to forget it so be sure to mark it in your check list. 5. Beach Sandals: Beach sandals or flip flops is something you should never forget to pack. If you are going with kids make sure you pack flip flops or any beach friendly footwear for them also. 6. Hats: Make sure everyone pack their hats. It is especially needed if someone among you is bald. 7. Bring water and snacks: It’s good to keep some snacks and water with you at beach. You don’t have to go back to the store to get and waste your precious time in commuting. 8. Beach bags: Keep all the essentials that you need at the beach in the beach bag. 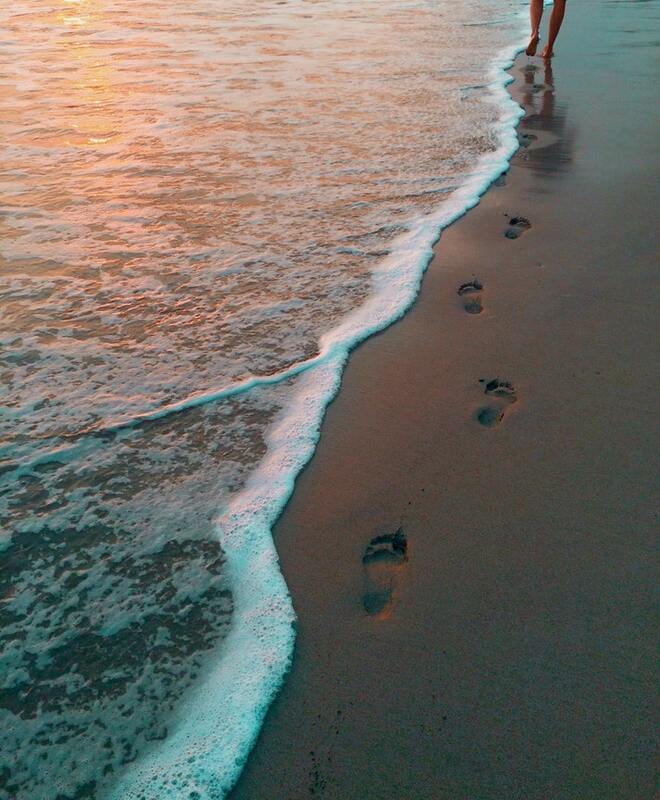 You don’t have to carry your suitcase with you every day you go to the beach. 9. Extra bags: Carry some extra plastic containers or a zip lock bags with you to the beach. You may need it to keep something that you don’t want to keep together in your beach bag with other things. 10. Toiletries: It is advised to keep your own shampoo, soaps, towels, face cream, cleanser, toothpaste and brush, mouth wash, shaving cream and razors. Also pack your perfume or deodorant.